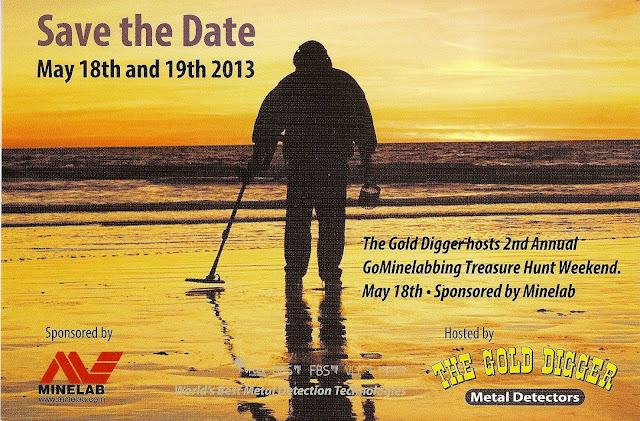 The Gold Digger-Metal Detector Co. has just announced that it will be holding its 2nd annual GoMinelabbing Treasure Hunt Weekend on May 18th & 19th 2013 in Atlantic City, NJ. This event is sponsored by MINELAB. Details regarding registration and hotel information will follow.